It is a commonplace in reviews of the ethnic conflict at the popular level of web comment for the blame to be heaped on our politicians in the past, and any perusal of web-commentary would turn up criticisms of politician A or politician B, or particular temporal moments/events. This is over-simplistic. Such processes are complex and demand a multi-factorial analysis. Besides such singular criticisms tend to obscure or downplay the critical influence of two fundamental causes, the one structural, the other ideological. Let me begin with A the structural before proceeding to B, the ideological. A. The focus on politicians and ideologues neglects structural factors that contributed substantially to the deepening of pre-existing ethnic identities/loyalties in the post 1945 era [note 1945]. In applying British parliamentary traditions to the island the Soulbury Constitution installed a first-past-the-post electoral system. Though well-meant, this scheme was disastrous in the circumstances of the island’s demographic configuration. By “demographic configuration” I mean the distribution and proportion of the Tamil, Sinhalese (Sinhala) and Muslim Moor communities in space. It took some time for the major political parties to figure out the implications of this peculiar distribution (“peculiar” in the sense that it is country specific — thus negating so-called comparisons with other countries). By the early 1960s, as such political scientists as Robert N. Kearney have shown, a small percentage swing in the votes created a major swing in the number of MPS for the party with the most votes. This meant that that particular party or coalition could dominate the parliament and the country without reference to the parties representing the Tamils. The 1970 election bringing Mrs Bandaranaike’s United Front coalition into power and its subsequent imposition of a Republican Constitution was the apotheosis of this configuration. This slippage, this swallowing of the whole by its major part, was (is) often unconscious, implicit, taken-for-granted. I perceived it residing in Anagarika Dharmapala’s vigorous anti-colonial writings. Dharmapala, as we all know, was the patron saint of the political currents that drove the Eksath Bhikkhu Peramuna and petit-bourgeois forces that advocated the “Sinhala Only ideology” which in turn pitchforked the MEP led by Bandaranaike to power in 1956. This modality of thinking, whereby the majoritarian part subsumes the whole by equation. can be implicit and subterranean …… or, it can be explicit. In both forms it is deadly. I pinpointed its deadly impact, together with the voting trends identified by Kearney et al, in an article drafted in Heidelberg in 1976 which appeared in 1978 entitled “Ethnic Conflict in Sri Lanka and Sinhalese Perspectives: Barriers to Accommodation.” I stress here that the seeds of this analysis were laid at Peradeniya in the early 1970s in the course of my studies of nationalism and my work as Director-Dogsbody of the Ceylon studies seminar. One moment in this progression was the all-day conference on “the Sinhala-Tamil Problem” held in Colombo in early October 1973. That discussion – on top of other events and currents — deepened my pessimism. My 1976/78 article forecast that Sri Lanka would head the way of Lebanon, Cyprus and Northern Ireland. 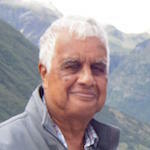 The ideological groundings of Sinhala supremacist and chauvinist thinking remain today – perhaps all the stronger and deeper because of (a) the defeat of the LTTE in 2009; (b) the persistent propaganda of the Tamil nationalist lobbies abroad, with many seams of fabrications mixed with fact; and (c) the pressures of a Western cabal posing as the “international community” and driven by a form of secular righteousness that is impervious to the double-standards imprinted on its masthead. So: how does one proceed to undermine the tendency of many Sinhalese to swallow the hole in the Sinhala part? To equate “Sri Lankans” with “Sīhalas”? I press several modalities as a programme that has to be pursued consistently over several generations …. Yes, over 20-40 years. There are no short-cuts. Ia. Every single member of GSL Reconciliation Committees must sit quietly in a small film studio and absorb (i) a video replay of a Springbok rugger match at home against the All Blacks (or whoever) and take in the panned pictures of the Saf players and the crowd singing the national anthem in three languages; (ii) likewise absorb a rugby international in New Zealand when the All Blacks sing their national anthem in Maori and English. Ib. Train a professional choir (or several) to sing Namo Namo in both Sinhala and Tamil AND THEN have the CD widely available. 1c. Train all the principal Sri Lankan cricketers in any one year how to sing Namo Namo in both Sinhala and Tamil. 1d. Perhaps re-constitute Namo Namo in a shorter version with Sinhala and Tamil as alternate stanzas – so as to facilitate its use at ceremonies short on time. 1e. Visit Premadasa Stadium before the start of the next ODI cricket match …. Expand your mind and think of the effect of a choir on big screen singing the anthem in both languages with our players on the field participating. Volaarey!! Cantaarey!! IIa. Decree that all schools must begin to institute the singing of the national anthem in both languages – maybe the short-cut version in alternate stanzas, but perhaps even the longer form. This programme cannot be rushed and must be judiciously and slowly pressed. IIb: Institute this practice selectively at ceremonial state events, including those of the armed services. STEP III. I recall that sometime back – circa 2006/08 there was a Rupavahini(?) programme called “One House” (not sure of name) with a moving lyric advocating communal harmony. Resurrect it. Drama, lyric, baila and street theatre must be deployed in encouraging cultural exchanges and cross-fertilization. Such personnel as Dharmasiri Bandaranaike must be made an integral part of the deliberations and planning work of the RCs. STEP IV. Animation is another mode of re-schooling and re-orienting people towards ethnic tolerance, amity and cross-fertilization. When Kandyan dancing is seen as a threat by some educated Tamil extremists, we know then that cultural practices carry deep significances in heightened political contexts. Thus, re-working culture towards exchange and appreciation is one pathway towards reconciliation. V3. It should be permissible for those who reject sub-categories on principle to denote themselves as “Lankan’ and to refuse an ethnic label [an interesting outcome this]. V4. A vital innovation here is that those of mixed parentage can say “Mixed’ and reject the patrilineal bias in terminology. “Stimulants and Ingredients in the Awakening of Latter-Day Nationalisms,” in Collective Identities, Nationalisms and Protest in Modern Sri Lanka, Colombo: Marga Publications, 1979, pp. 214-42. “Problems of Collective Identity in a Multi-Ethnic Society: Sectional Nationalism vs Ceylonese Nationalism, 1900-1940,” in Collective Identities, Nationalisms and Protest in Modern Sri Lanka, Colombo: Marga Publications, 1979, pp. 337-60. “Ethnic Conflict in Sri Lanka and Sinhalese Perspectives: Barriers to Accommodation,” Modern Asian Studies, Vol. 12, No. 3 (1978), pp. 353-376. “Ethnicity in Riposte at a Cricket Match: The Past for the Present”, Comparative Studies in Society and History, 1985, 27: 401-429. “Nationalism, the Past and the Present: the Case of Sri Lanka,” Ethnic and Racial Studies, 1993a 16: 133-161. “Beyond Anderson: Reconstructing and Deconstructing Sinhala Nationalist Discourse”, Modern Asian Studies, 1996a 30: 690-98. [reprinted in Confrontations, 2009]. “Teaching Lessons and Removing Evil: Strands of Moral Puritanism in Sinhala Nationalist Practice,” Felicitation Volume for Professor S. Arasaratnam, edited by Michael Pearson, as South Asia, sp.issue, Sept. 1996, pp. 205-20. “Sinhala-ness and Sinhala Nationalism,” in G. Gunatilleke et al (eds. ): A History of Ethnic Conflict in Sri Lanka: Recollection, Reinterpretation and Reconciliation, Colombo: 2001 Marga Monograph Series, No 4. “The burden of history: obstacles to power sharing in Sri Lanka”, Contributions to Indian Sociology, n. s., May 2001, 35: 65-96. “Ethnicity after Edward Said: Post-Orientalist failures in comprehending the Kandyan period of Lankan history,” Ethnic Studies Report 2001, 19: 69-98. [reprinted in Confrontations, 2009]. “Dakunen sädi kotiyo, uturen golu muhudai,” [The fierce/vile Tamils to the south, the turbulent/unfathomable sea to the north] Pravāda 2001. 6: 17-18. “Primordialist strands in contemporary Sinhala nationalism in Sri Lanka: urumaya as Ur,” Colombo: Marga Monograph Series on A History of Ethnic Conflict in Sri Lanka: Recollection, Reinterpretation and Reconciliation, Colombo: Marga Monograph Series, 2002 No 20. “Saivite Symbolism, Sacrifice and Tamil Tiger Rites”, Social Analysis 2005 49: 67-93. “Pragmatic Action & Enchanted Worlds: A Black Tiger Rite Of Commemoration,” Social Analysis 2006 50: 73-102. July 2006, pp. 12-24 [reprinted in Fire and Storm. Essays in Sri Lankan Politics, 2010, pp. 203-18]. “Understanding Zealotry and Questions for Post-Orientalism, I,” Lines May-August 2006, vol.5, 1 & 2, in http://www.lines-magazine.org. “Tamil Tigers: Sacrificial Symbolism and ‘Dead Body Politics’,” Anthropology Today, June 2008, 24/3: 22-23. “Some Pillars for Lanka’s Future,” Frontline, 24/12, 6-19 June, 2009, pp. 24-27. “Intolerance: Hues and Issues,” Nethra Review, 11/2, December 2010, pp. 20-21. See Robert N. Kearney The politics of Ceylon (Sri Lanka). Cornell University Press, 1973 and Communalism and Language in the Politics of Ceylon. : Duke University Press, 1967. See Roberts, “Ethnic Conflict in Sri Lanka and Sinhalese Perspectives: Barriers to Accommodation,” Modern Asian Studies, Vol. 12, No. 3 (1978), pp. 353-376. As the son of NQ Dias the grey commander in chief of the Sinhalization policy within the administrative services under the Bandaranaikes in the 1950s and 1960s. Modern Asian Studies, 1978, vol. 12: 353-76. This reading t should be supplemented with a reading of “Ethnicity in Riposte at a Cricket Match,” 1985; “Pillars for the Future,” (2014) and the more recent articles identifying the short-sighted Sinhalaness of Mahinda Rajapaksa and company — namely, “Ideological Cancers within the Sinhala Universe,” (2014) and “Cakravarti Imagery and Populist Processes” (2012). I think your article is a timely and insightful view into the current politicial state vis a vis the ethnic issue. I agree that the Liberation of Ceylon was seen as a Sinhala struggle, why were the Tamils not seen as equal partners in this struggle? Is it because the favouritism of the British towards the Tamils poisoned the minds of the Sinhala population as they became part of the priviledged few and the ruling monarchy? The National Anthem has been used as a political football over the years with the pendulum swinging one way or the other. It cannot be seen as a move to unify the country under the current status quo, but as a means of moving away from it. The British never favoured the Tamils only used them and their hard work for their benefit. The Jaffna Tamils prospered not because of British favouritism but due to their hard work and industriousness. You can see that even in places like Singapore/Malaysia or in other parts of the world. Even now in the west many of the Sri Lankan Tamil diaspora who fled to these countries as refugees without any assets or wealth have largely prospered within a generation. You mean to say the British favoured them in all these places? They never favoured the Tamils and in fact treated most of the Tamils very badly, especially the Indian origin estate Tamils, the eastern and Vanni Tamils. The insecure and largely lazy Sinhalese unable to compete with the Tamils and their largely hardworking work ethic, started accuse the British of favouring the island’s Tamils, when in reality they did not. They amalgamated the historic Tamil territories with the Sinhalese lands down south to the great detriment of island’s indigenous Tamils and then made Colombo as the capital of this new colony called Colombo and then developed the southern towns and cities and not the historic and traditional Tamil areas. This gave the illusion to the Sinhalese that the entire island is theirs as the capital and economic base moved to the Sinhalese south and the Tamils were forced rely on the south for their living. The British also propagated the false Aryan theory the Mahavamsa myth and encouraged the island’s Muslims 95% of whom are purely descended from immigrant Indian Tamil coverts and the rest part Arab but still largely Tamil by descent to claim a fake Arab origin and identity, as this suited their divide and rule agenda. All these lies and policies proved to be very detrimental to the Tamils. When they left the island in 1948, they handed over the entire island to the racist Sinhalese majority steeped in the fake Aryan origin theory and brain washed in the Mahavamsa myth, that the island only belong to them. They had no right to have done this. They hardly provided any safeguards to the island’s Tamil minorities and did not care. They should have divided the island as they found it or created a federal form of government, which they did not. They never even had a referendum amongst the Tamils to find out what they wanted. Listening to a few upper class highly Sinhalised Colombo 7 socialite Tamils, many of whom had close Sinhalese relatives does not work. basically from the word go the British favoured the Sinhalese but used the Tamils, as the Tamil elite unlike the Sinhalese elite did not dance to their tunes or give them their womenfolk for their pleasure. It was during the British who made the Eelam Tamil nation who were a 100% majority in their lands a 25% minority in the whole island and gave and encouraged the false perception to most of the world that the entire island belonged to the Sinhalese only and the Tamils were outsiders. They did this by amalgamating the ancient Tamil Eelam lands that had always remained separate with the Sinhalese lands don south in 1833. The Portuguese and the Dutch colonials never did this or created this false perception to the world. The British created undivided India but never created this false illusion or perception that India only belongs to the North Indian Hindi/Urdu speakers. The British did a lot of damage to the Tamils not only in India but also in the island. The destroyed the local form of Tamil language in Kerala in the 1850s and imposed the highly Sanskritised Grantha language that at that time was only used by the Namboothiri Brahmins and forced it on the local population and called it modern Malyalam. In the island the Tamils are still suffering due to what the British did. Just giving a few government jobs is very little compensation for what they did to the Tamils. I like the part…50% of Sinhalese are low caste Tamils. So they should be treated as such. On the other hand British must be commended for uplifting the lives of the poor low caste Tamils, who otherwise would still be enslaving for the elite Tamils in South India, likely predecessors of the Jaffna Tamils. What beats me is how the estate Tamils were left out of this project. It seems also that not only British favored the low caste Tamils, but also made the elite Tamils a little less fertile, that they proudly diminished in numbers over time. School drop out read the unadulterated Go read the Soulbury Constitution. Gandhi and indian pakistani bangladeshi did not fight the British Raj even with sticks and stones for fear of being shot like flies. So they ate their own salt. While sinhalese hid in a woman’s skirt at tamil nadu- What independance?? Harry Truman just downloaded the kassipu drinking illiterate brown donkeys in the plantation. Looks like Siva has hit a raw nerve. You must be part of that 50% that is why excreting here. Fairy tales from another Tamil racist. Britishes favored Tamils over Sinhalas, specially Sinhala Buddhists. Main reason was the freedom struggles in 1817-18 and 1848. And various failed attempts to take control of Kandyan kingdom. Brits used most barbaric ways to crush those very just freedom struggles. They made Uva-Wellassa a dessert by killing almost everyone including the kids who were above 14 years of age. But no such freedom fights from Tamils against Brits. They made sure the Jaffna get the best education (according to Brits counts of education). A sizable portion of govt. jobs were gifted to Tamils. For the sheer benefit, Tamil racists have distorted the history of this country according to their whims and fancies. 1833 Brits established the constitutional council in which 3 slots had been kept for Sinhala, Tamil and Burger. Imagine a single person to represent vast majority of people in the country and the number is equal to represent very low no. of people! Is it because Britishes favored Sinhalese as of your claim? Even a kid would give the proper answer for that. Stop writing crap Mr. Tamil racist. British favour you over Sinhalese. Still. Remember the ex-PM of UK, Cameron had skipped Colombo and visited Jaffna to appease Tamil racists. You bash the majority but peacefully live with them in every part of Sri Lanka. When the day that you racists stop that practice (bashing majority over distorted history and unjust demands) will surely be the beginning of a fresh chapter for mother Lanka. What is your reference for these sweeping statements? I am sure that will make an interesting reading! Max does not need to cite any reference simply because he is Moron. No new chapter is going to begin anytime soon, especially with men like you who are bent on distorting facts and re-writing history. Try to understand human mind and nature. The British were invaders. In order to sustain their conquests, they needed local man power on their side. They schemed to favour the few over the many. Historians call this mechanism, ‘divide & rule’. You twist that record and are happy to take advantage of that and claim that the British favoured the Tamils. There was yet another factor. The geographical factor. When the Portuguese captured the coastal regions of Lanka, Tamils were inhabiting the less productive (vegetative) and arid region of Lanka, the North/East. With the incentives for education and jobs under the British, it was more of a temptation to the Tamils than to the Sinhalese in the South, who were blessed with fertile lands, to work for the Britishers. These tipped the scale of employment in favour of Tamils. There was no master planning on the part of Tamils to become the bosses of Sinhalese. Prime Minister Cameron’s journey to Jaffna has to be understood in the context of that sinful ‘divide & rule’ policy practised by the British of yore. It was a show of repentance, on his part, for the misdeeds of his ancestors. The endless suffering of Tamils in the hands of mindless Sinhalese practising majoritarianism, in the name of democracy, must have pricked his mind. History has a way of restoring order. Wait for your turn to learn. The COLONIAL BOOT LICKERS WERE THE SINHALESE AND NOT THE TAMILS. STARTING FROM Don Stephen Senanayake (son of Don Spater Senanayake), through Dudley Shelton Senanayake, Sir John Lionel Kotelawala, Neelaperumalge Solomon West Ridgeway Dias Bandaranaike (previously Kalukapuge), Wijeyananda Dahanayake, Sirimavo Banadaranaike (of Mawalatenne Mohattala lineage), Thambi Mudiyansalage Junius Richard Jayawardene, Ranasinghe Premadasa (son of Richard Ranasinghe), Dingiri Banda Wijetunge, Chandrika Banadaranaike Kumaratunge and Mahendra PERCIVAL Rajapakse (Son of GEORGE Rajapakse), among our heads of government from Independence to date. I find only three men who can claim to have been untainted by the `ADAPTATION TO COLONIAL SYNDROME`, in name, religion or way of life. They are W.Dahanayake, Dingiri Banda Wijetunge and the current president Maithreepala Sirisena. However, most of these men changed from `BROWN SAHIBS` to `ARYA SINHALA BUDDHIST PATRIOTS` almost overnight. Men and women who occupied the front seats during Sunday services in churches became regular visitors to Buddhist temples and patrons of Buddhism overnight. Men and women who had western Christian names, eliminated them from their families very quickly and started using names linked to Buddhism and Sinhala history. HOW MUCH OF THIS CHANGE WAS OUT OF GENUINE CONVICTION and how much of it is the continuance of a CHARADE OF POLITICAL EXPEDIENCY? The descendants of South Indian mixed blooded Sinhala leaders suddenly became the DIRECT DESCENDANTS OF DUTTU GEMUNU, a logic only the Sinhalese can understand. There were more Sinhala elites who were the lap dogs of the British than anybody else. The so called “divide-and-rule policy of the British” did not favor any Tamils. It only favored the Sinhalese who were collaborating with the British (known as Kalu Suddo). You do not need any education and research capability to understand the behaviors and cultural differences of two different races (Sinhalese & Tamils) in Sri Lanka. Just by living beside both of them for a certain amount of period (few years) and some intelligence/common sense is more than enough. The British understood very well that the Tamils were clever, ready to learn, industrious, honest and hardworking (the Tamil work ethics – work is worship). On the other hand, the Sinhala race was very foolish, lazy, violent, racist, hateful, jealous and mean spirited. This is the reason why, when it came to white collar jobs in the Ceylon Civil Service the colonials gave preference to Ceylon Tamils of North and East. The Tamils were holding top positions in the government service whereas the Sinhalese were working as peons and drivers. The British preferred employing the Jaffna Tamils as bureaucrats even in many of their Asian colonies such as Malaya and Singapore. Apart from their intelligence, command of the English language and capacity for hard work, the Jaffna Tamils also had a good reputation for their integrity and honesty. Like what Soulbury says, the English were jealous of the Scots, the lazy Sinhalese were jealous of the hardworking Tamils. In 1948, the British handed over the entire country to the Sinhalese with the second highest GNP per capita in Asia and where are we today? Unlike the Indians (Mahatma Gandhi, Jawalhal Nehru, Mohd Ali Ginna, Subash Chandra Bose, and others) who suffered for their Independence, the Sinhalese whom Anagarika Dhammapala termed as ‘Kalu Suddho’ collaborated with the British, who gave us Independence on a platter (without shedding a single drop of tears, sweat or blood) and made them leaders to rule the entire country. The Indian leaders Mohandas Gandhi along with Jawaharlal Nehru and Mohamad Ali Jinna fought for it peacefully, Subash Chandra Bose fought for it violently, and Sri Lanka got it free along with the Indians without spilling any blood, sweat or tears. When the British left this region, they gave the entire island to their Sinhalese Bootlickers (Kalu Suddho)without the consent of the Tamils. O mankind! We created you from a single (pair) of a male and a female (Adam and Eve), and made you into nations and tribes, that ye may know each other (not that ye may despise (each other). Verily the most honored of you in the sight of Allah is (he who is) the most righteous of you. And Allah has full knowledge and is well acquainted (with all things). Due to guidance of the Quran from the Creator Almighty, the Muslims knowledgeable in Islam, never look down upon another human beings, due to severe warning from God Almighty. Thus the Muslims will always endeavor to be a graceful person and interact well with other human beings with dignity and respect. By the way Mr. Paul-Real Siva Sankaran Sarma It is incumbent upon every Muslim to learn Arabic to recite the Quranic verses every day five times compulsory prayers, to understand the guidance and to recite the scripture in Arabic only, so why are you bothered about Muslims learning Arabic? I hope you refrain from hate mongering of Muslims, British, and Sinhalease instead try and learn to live amicably be broadminded remove from your heart and head hate mongering, jealousy as these sickness will destroy your heart and soul. God Forbids. No shots were fired by any buruvas except may be lighting a tyre or 2. The war was on the so called fathers of freedom were hiding in Tamil Nadu Saree right under the Madras presidency British Raj. Even today at CHOGM there were no balls but hiding under the skirt and women still slaving in the middle east. UK had no money and was on 60 year loan(marshall plan) from USA. US decided to hand it on behalf of UK due to impending Russian and Chinese aggression which had to be tamed. Your grievances are legitimate but who do you think put these rascals on the throne? Surely not God? Surely you can do your bit to wash the brains of the filth in those who does not know the meaning or value of a vote. Until this idiosyncratic exists, you have no choice but to grow old as a grumpy old fellow. Cheers. Janice, Fault lies in the educated civil society that has succumbed to political violence. We need a few men of integrity with guts to face the corrupt. The majority will support . unfortunately the people have no option. Clear lack of leadership. Michal Roberts is Conseversity historian since 1965,his line of ideology base on orthodox an approach by Christen point of view. Michal’s movement of history that line an old capitalism has shifted into new realities has not been taken into account; by and large that Capitalism and Democracy has different political Road Map since late 1980 tees in different directions. The social volcanoes has been apply reality US headed power cantered that encouraged religious fundamentalism of Evangelistic Christianity and Islam fundamentalism on one side. In other hand US policy of political hegemony promoters Ethnic Separatism like religious fundamentalism ,is a common phenomena in periods of political uncertainties in developing nation through-out the third world countries..
Well, Michal did not understand simple fact Tamils are not scares the fundamentalist ,who want to believed in certainty and absolute truth for the Tamils for Eeelam in Sri lanka. But how is that Tamils currently find new moral values that will contribute to survival of Separatism or Federalism for Tamil rough state can survival without a period of experimentation that will upsetting majority Sinhalese in many ways. It preaches the doctrine separatism should allowed to do anything they wish unfettered by democratic values by replacing Tamil ruthless Terrorism against democracy. The Tamils are exhibiting what is immorality for democracy by standard of civilization values of Sinhalese Buddhist world outlook. The democracy versus religious and Ethnic fundamentalism become key social conflicts are in Sri Lankan by US led policies. What a lot of bull you have written Mr Yatawara! Just compare the 1948 secular constitution with the subsequent Sinhala bi-laterally formulated undemocratic constitutions! This is will show you as to how democratic that the Sinhala Buddhists have been in all seriousness! Your “standard of civilisation” is completely blinkered and impervious to the genuine democratic manifestations of the Tamil people through successive elections! Come on mister please have a sense of conviviality and objectively digits the watershed moments of the past events. Did the Sinhala practice democracy or majoritarian politics? he was a big man there before the `burghers quit lanka` in the 60’s along with sterling companies, trp holders etc. now he is another immigrant because even the muslims from iraq, iran are whiter than him. Brutes have no human dignity. Shape shape shape Lankawe. Those are the symptoms of `One Nation One People` blue green red yellow or any color You live by dividing the minorities because that is your culture and the shameless begging bowl. Where after IMF?? Another 5 billion bond coming soon. Be like Japan just borrow before Samanta Power is removed. Yes many Sinhalese risked their lives to save their Tamil friends and in some cases their relatives but were very indifferent or hostile or both to the plight of other Tamils. However even this so called many Sinhalese did not even constitute 1% of the Sinhalese population. The rest were all racist to the core and still are, as seen by most comments from these forum. They are still steeped in their racist Mahavamsa ideology, that is fed to them by their nasty Buddhist monks poliitcians and elite and cannot come out of it. If many Sinhalese were risking their lives for the Tamils the plight of the island’s Tamils will not be in the current positions , proves most Sinhalese want the destruction of the island’s Tamil population the language and culture and vote for scoundrels and racist low lives who promise them this. As long as the toxic nature of Sinhala nationalism remains unaddressed, a sustainable peace will elude the island. Given the ongoing human rights concerns, as welt as the obfuscation on accountability and reconciliation processes, some local and international actors have perceived the current government as having failed to seize the opportunities presented by the defeat of the Rajapaksa regime. Over one year later, the current government is yet to take meaningful steps towards accountability and political reform to address the Tamil question. Serious human rights violations, including torture and sexual violence against detainees continue to be reported. Action has not yet been taken against state forces perpetrating violence against Tamils; many of whom still Five among their victims in the North-East. The government has neither demonstrated an interest in building confidence among the Tamil people nor begun raising awareness among the Sinhala population about the necessity of credible accountability and a viable political solution. In discussions with the international community, the government is quick to excuse its lack of credible progress by holding up the specter of a Rajapaksa comeback, bemoaning Sirisena’s shaky coalition and blaming its slow pace on a lack of capacity and bureaucratic hurdles. However, the government has failed to embark on any measures to alleviate the threat of a Rajapaksa comeback, such as by educating the Southern electorate on the suffering Tamils endured in 2009, and the importance of holding war criminals to account. running Sinhala Buddhist nationalism in the South. The government continues to repeat the failures of past regimes by furthering the idea of a common Sri Lankan identity as defined by Sinhala Buddhist nationalism and chauvinism. Sinhala nationalism frames Sri Lanka as an inherently Sinhala Buddhist island, with the majority community accorded the foremost place. The Sinhala nationalist project necessarily involves the subjugation of Tamil rights and self-determination. This is the root cause behind the rise of political and militant Tamil nationalism, and the ensuing decades of ethnic conflict. the functioning power of the world does not hear you. surely there is something missing in you. I like most or whole of the article, and thanks Michael for some inspiring proposals for reconciliation and deconstructing rigidity of identities. Steps proposed to promote the singing of the national anthem in Sinhala and Tamil are useful and hope the authorities would take some practical steps in promoting these ideas. This is also in line with what was proposed to the President last year by the Sri Lanka Reconciliation Forum in Sydney. When we talk about reconciliation we wants to “construct” better trust between Tamil speaking people and Sinhalese speaking people. In otherwords “strengthening of Trust” between these communities.Singing of National anthem by Both languages at the same time will give satisfaction for both communities this will help to strengthen the Trust. Similarly teaching Tamil, Sinhala and English in all schools up to GCE level and making English Language as the medium of education in schools and Universities for higher education will further strngthening the relationship between both communities. We are all Sri Lankans. Take no pride in considering yourself a ‘so-called Sinhalese’. You jolly well address yourself as a Sinhalese. My love for you is not going to be any less or any more. There are no half-Sinhala or half-Tamil anywhere. You are either Sinhala speaking or Tamil speaking. Even if you start speaking Tamil routinely, you will still be a Sinhalese. We should love being ourselves. We should define ourselves by the love we have for others who speak the other language. The conflict and the confusion is not over language. It is over who the country thinks is a Sri Lankan. The country, that I knew, did not treat Tamils as Sri Lankans. Sri Lanka treated Tamils differently, for being a Tamil. No exaggeration. Yet, we, my wife and I, have brought up our children, in their forties, today, to proudly call themselves Sri Lankans. I never hear them calling themselves Tamils, even though they both speak Tamil at home. I have not read the article, yet; I will, now. Having read the article, I must say that I am somewhat disappointed. I appreciate the clear desire to unite us a people; but, the writer fails to unite us as a nation. What’s the difference?! When we unite as a nation, languages become mere tools of communication. They become less influential in our decision making. Previously, I have shared a few of my ideas in this forum. Let me repeat just one of them, briefly here. Let our journey begin at birth. We are Sri Lankans. Let our birth certificates reveal that and no more. Make no room for any divisive ethnic/language/religious category in it. Time to time we must be reminded of that “BIRDS OF A FEATHER FLOCK TOGETHER”. Enemies of our survival live among us and they have represented with various disguises. Their only objective is to destroy the identity; “SINHALA-BUDDHIST”. Destroy SINHALA first, then there will not be any BUDDHISTS in Sri Lanka. Let the widows, missing peoples wives and handicapped people be given a good allowance and housing without delay.Vocational training, schooling and university education must be speed ed up. People from the Tamil Sri Lankan diaspora should be encouraged to come back as the diaspora funds. Family trees and culture should be funded. Today the language is English and the culture western . TV and CDs should be made available in all subject and an effort to improve knowledge of our cultures,Michael Roberts can set up an institute to study sociopolitical roots. The Tamils to have burger blood and maybe even as well as Sinhalese have mixed blood. Genetic testing may surprise us. The fact is you have 28% Bangladeshi blood in your brood. Ask Dr Gani (for links in europe test) it was on CT.
Why don’t you make love to hot bengali muslim woman and make her sinhala buddhist?) them the same way Ranil and sinhalese is loving the muslims from independance you love muslim?? So, the majority of Sinhalas are actually Tamils. And they are the majority, so what are you people complaining about? rippppp van winkel keep sleeping don’t get up. Yes but these Tamils now calling themselves Sinhalese, want to now destroy the very same Tamil people language culture and history that they originated from, especially in the island. That is where the problem is and people are complaining about. Understood. Just look at you a prime example of this. The reason being all of them have converted themselves into bigoted Sinhala/Buddhists. Delighted to see you’re back – and with good form. south india is more than tamil. andhra so microsoft quiz center. froth chai kerala ` mala kollama, karnataka sadhu kapurala. worse than sambhar/hodda broth that it is waning into umbra not wattalapam. South India is more than Tamil or Telugu. However south Indian culture and people are essentially Dravidian and their languages Dravidian. The Dravidian culture and language is essentially Tamil and it is the oldest of all these Dravidian languages and the mother to Kannada Telugu Malayalam and Tulu. More than 80% of the Proto Dravidian is retained only in Tamil and not in the other Dravidian languages. Kerala is the former ancient Tamil Chera Nadu. Keralam/Cheralam. Malayalam was the last major Dravidian language to break off from its Tamil mother and it really broke off from it only a few centuries ago. Even now its vocabulary is 70-80% Tamil and the rest Sanskrit and other languages. It is more or less like a highly Sanskritised dialect of Tamil. Simple spoken Malayalam and Tamil can easily be understood by speakers of both languages. It was the British who instrumental for the spread of what you call modern Malyalam throughout what you call Kerala. They did a lot of disservice to the Tamils. Even until the mid 1800s most of Kerala still spoke a language called Malyanma or Malabar Tamil and wrote this in the Tamil script. The British printed Malabar English Dictionary by Graham Shaw in 1779 was still in the form of a Tamil-English Dictionary. The powerful Syrian Christians of Kerala started to learn the Tulu-Grantha Bhasha of Nambudiris under the British Tutelage. Until then they were using Tamil or Malabar Tamil. Paremmakkal Thoma Kathanar wrote the first Malayalam travelogue called Varthamanappusthakam in 1789. The British banned the use study and publication of Malayanma or Malabar Tamil in the Tamil script in the 1850s and declared the highly Sanskritised Tulu-Grantha Bhasha written in a Tulu based script, spoken only by the powerful Nanbudhiris and sections of the Nairs, who were mostly the illegitimate bastards of these Namboothiris ,as the official language of Kerala and called it Malayalam. They did this as the Nambudiris and many of these Nairs( Menons, Nambiars, Pillai, Pannickar, Kurrup, Thamp ETC) were in cohorts with the British so in order to make these people more powerful the keep their stranglehold on Kerala. The British connived with them to destroy the indigenous Tamil culture of the Kerala masses and impose this imported language and culture from Tulu Nadu. The irony is the British banned the local Tamil language and script in Kerala and imposed the Tulu based language and script on them and called this Malayalam but in Tulu Nadu they banned the use of the Tulu script. You can even now see that these same communities from Kerala who destroyed the local Tamil culture and language with the help of their British patrons, are now in cohorts with Sinhalese and other anti Tamils to destroy the Tamil culture in Eelam. Look at all the Malayalees who were in cohorts with the Rajapakse regime and in the UN. Narayan, Shiv Shankar Menon, Nirupama Rao( nee Menon) Nambiar. And these people state the British favoured the Tamils. They only used the Tamils in Sri Lanka and in India but never favoured them. Strange after the British and other Europeans left, there has hardly been any famine or large scale starvation in Tamil Nadu or then Tamil Kerala to force mass scale migration of poor low caste Tamils to work as indentured labour anywhere. They deliberately created all these situations to achieve their own ends. all the south indians except `stupid` tamils are for sanskrit. the ones who learn the language of common governance wins the power over India. finally sanskrit wins as classical languages. persian (aryan) +sanskrit = hindi. You are no Marrikar. Marrikar, Lebbai, Thambi, Rawther are all Tamil Muslims castes and they will never rundown Tamil and praise Sanskrit. Even the Muslims in Sri Lanka and in this forum never rundown Tamil as it is their language and culture too. You are a Sinhalese racist deliberately using a Muslim name to create chaos. For your information Tamil is also classical language and has a far more ancient history in the Indian subcontinent. Sanskrit is an import from Central Asia and has borrowed the Dravidian/Tamil grammar language syntax and lexicon. A language using another languages grammar syntax and lexicon is a great thing. Shows how much Tamil/Dravidian influenced Sanskrit. Borrowing words from another language is minor as all languages do that and Tamil and Sanskrit borrowed words extensively from each other. However Tamil still lives and thrives and Sanskrit is dead and gone. Hindi is a hotchpotch of many languages. Not just Persian and Sanskrit, There is Arabic Turkish Tamil and the influence of many other languages. It is the least Indian of all the Indian languages and shows the influence of the Muslim influence in north India. None of the southern states have accepted Hindi, especially Kerala and Tamil Nadu and Tamil Nadu has thrived without Hindi. It is because of Tamil Nadu English was retained as India’s other official language and the southern Indian states thrived. Now even there is opposition to Hindi from Bengal and Maharashtra. Two key Indian states. The estate tamils are being given better housing, education and wages. The eastern people are marginalized. Let us look at the total picture.. If we are singing the national anthem in Tamil and Sinhala, we should sing the national anthem in ‘Aadiwasi’ (Vedda) language also. ‘Aadiwasi’ are the aboriginal people of Sri Lanka. When we talk about minorities in Sri Lanka, very often we ignore the ‘Aadiwasi’ people. Perhaps, as a compromise it is better to change the national anthem to language of the ‘Aadiwasi’ people. The Vedda dialect, their spoken language is identical with Elu which was the spoken language of ancient Sri Lanka, which is semi-Tamil; as to the grammatical structure it is essentially Dravidian and simple. This means you will singing it in a form of Tamil. Old Sinhalese was very close to Tamil mother in its pronunciation compared to modern Sinhalese. Michael Roberts is holding a brief for the Rajapakses! The Pada Yatra must be now midway eh? [Edited out]Therefore his assessment is useless and bias. He can quote not one but many references, who gives [Edited out] about this fellow who has made a feeble attempt to malign majority Sinhala people. According this fellow, Sinhala people are extremists if they speak loud to protect their birthrights. This fellow, according to his sentiments has expressed his personal opinions which he should do with his [Edited out] I would like to emphasize, if any injustice is done to Tamil speaking minority, it has been committed by a non Sinhala and non-Buddhist. The prominent among them are SWRDB and JRJ. Both of them were the decedents of Tamil/Malayali speaking Christians. I don’t understand where he got the information about that Sinhala People assumed; Ceylonese = Sinhalese. This fellow is a grade “A” spin doctor, determined to malign real Sinhala People quoting the work of Non-Sinhala Christians. The whole issue is that SWRD Banadarake of SLFP and JR Jayawaradena of UNP had been penetrated into Sinhalese -Buddhist community, misled new emerging social forces of Sinhalese community by that created political chaos in the country. Sri Lanka over 65 years. Nation become fail state by B& J policies. Sinhalese lost their civilized credentials through out the world . They hate of majority Sinhalese -Buddhist by their own blood stream. Now after couple of years later their generations and their children of origin of Christin or Hindu or Muslim religion, which they want to be partition land of Sri lanka on basis of “Federalism” then procedure to Tamil Eealm in North -East part of Island. That is one for Tamils-North and Other for Muslims-Eastern . That is why Tamils chavnanist & Tamil Terrorist has given handicap and by supported for Tamil nationalist by ruling party leadership that which advocated for the distort “Sinhalese only policy” by both parties of SLFP and UNP leaders of Ranil W… and CBK. Indeed their children has get together want More power “devolution” Tamils in north -Muslim for the East. By the way they seek legal binding of Constitutional changes by an Open “New Republic Constitution” for this land. In presently they talk on “reconciliation and harmony” with Tamil community after end of Tamil terrorist was defeated their GUN RULE POLITICS by last war against Tamil terrorist in 2009 May 18th. By and large they indirectly support for for Tamil cause of separatism and undermined 2600 years of old civilization during their misrule of state of governances since 1948 to 2009 May, 18th. The well known facts revealed that Michal Roberts talk has No relationship with that truth of History. His theses is wrong, saying that Sinhalese-Buddhist are chavnanist. We want more time and money to seek facts from history of tragedy have been undergone by the Sinhalese -Buddhist nation in Island, which is now facing and challenge by Tamil-Muslim leadership in UNP and SLFP of CBK? in ruling of “Good governances” & “Rule of Law” by Tamil hidden authority power behind Our Nation. There are so many similarities.. Send monk Ghanasara to know about history of their race. All talk of coming from India is only a handful of them most of them came from Bay of Bangaldesh.. Please find some historical facts. MR has an analytical mindset and very professional. This is not going to help in a practical sense. There is no real solution to the petty mindset of SL politicians which is foolishness, nepotism, greed and other worse qualities of human behavior which probably is in their genes. One has to live with this adverse genetic evolution or die with it. There is no point in trying to rationalize and suggest solutions. Life on the whole on this planet is short .Get used to it.